It was hot when the gates opened at 12.00 hours. It was very hot when the first band on the main stage started at 15.00 hours, Ed Kowalczyk (former Live), followed by American/Irish punkfolkband Flogging Molly (the crowd went mad) at 17.00 hours, followed by John Mayer (the girls went mad) at 19.00 hours and then finally at 21.15 hours The Rolling Stones (me and my family and friends went mad). For the Stones it was the first time they played at the festival, though they played on the festivalground before. 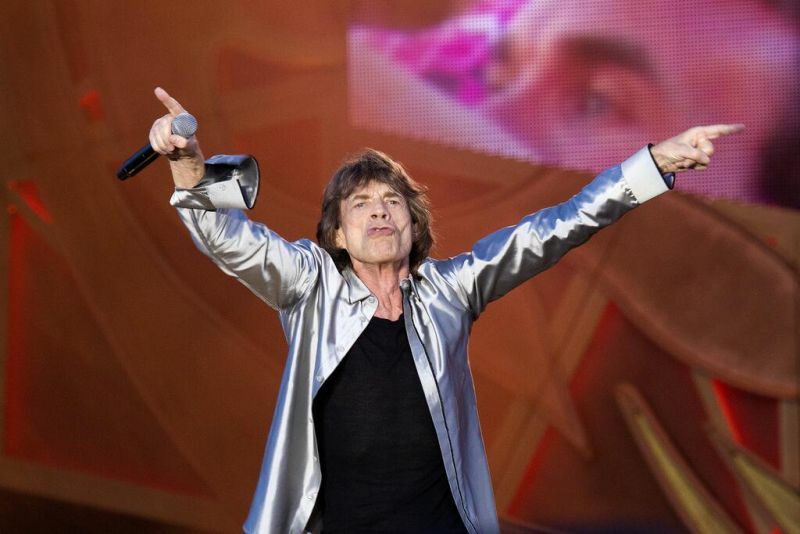 For festivalorganisor Jan Smeets Mick Jagger was a bit of a trauma. In 1979 Peter Tosh was at Pinkpop. Jagger was there to join him on stage for You gotta walk (don’t look back). Jagger saw the tv camera’s on stage and decided not to sing. Smeets was devastated. For Smeets it was a personal victory that the Stones played Pinkpop 35 years after the Tosh-incident. So far for history, though it is exactly history that ‘forces’ the crowd to come to Pinkpop to see the Stones. 50 years experience, fantastic music, great scandals and Jagger and the band in very good shape. All the ingredients to become rocklegends are there and people want to see those icons of rock before it is too late. So 70.000 tickets were sold within half an hour. The big question: did the audience get a good show? The Stones played more then two hours on a high energy level. The setlist contains hardly any surprises for the fans, but at a festival like this there are a lot of (young) people who see the stones for the first time. I don’t think the Stones could have done any better. The performance was great. The Stones weren’t just cashing money but they gave all that they had and - after 50 years - that’s a lot. taking the bus with a friend and his sixteen year old son !! you know the setlist!!! in my opinion the stones gave one off the best concerts ever in holland they rocked and made 70000 people dance if this was the last time in holland we have something to remember!! It’s been 8 years since I had last seen the Stones in Amsterdam Arena. After that concert (my 7th or 8th) I decided that enough was enough. This had definitely been the last time. Very bad sound quality, no vibe; it just didn’t do it for me anymore. Than, at the beginning of the year when it became clear that the Stones were coming to Holland again, my 13 year old soccer fanatic son Mick (no coincidences here) said: ‘well dad, it’s now or never; you owe it to me that I at least one time go and see Grandpa Mick.’ And right he was off course. During the day, you could feel the tension, excitement and buzz in the crowd building up. When at quarter past nine the show started there was a deafening roar from the audience when JJF kicked in. I think my roar must have been louder than the other 67.000 people put together. It was a great great fantastic concert. Such an energy, lots of smiles on and of stage. Stones were having a great time and so was the audience. 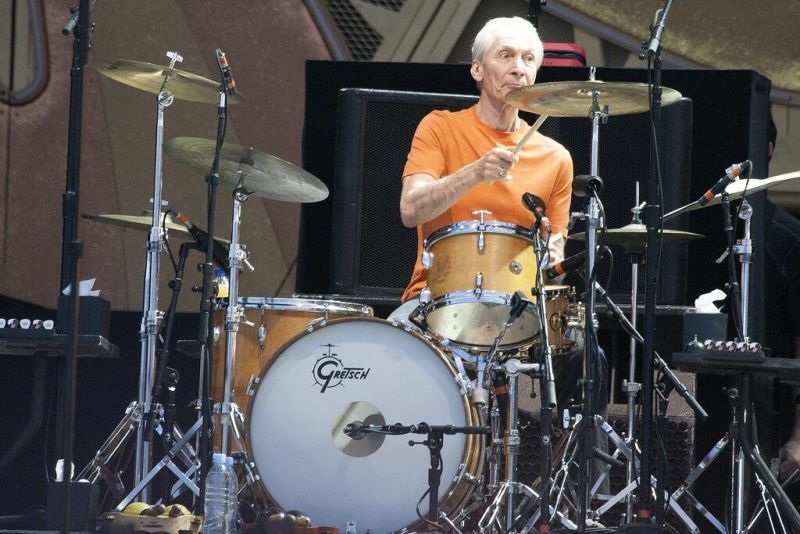 Mick was excellent, unbelievable for a man of his age, Keith was in great shape, Ronnie did a terrific job and Charlie did what Charlie does best: being the backbone of the greatest rock ‘n roll band in the universe. The sound was crystal clear, you could here every single instrument; better than I have ever heard the Stones before. Highlights were off course Midnight rambler, Out of control, YCAGWYW and many others. At a certain time I thought I even saw a smile behind a silver lined cloud…. from somebody who should have been there with us. At the end of the show with the excitement still buzzing around; my son said to me: ‘this was even better than Ajax Amsterdam!’ Coming from his mouth, no further explanation was needed….. Finally this was the day me and my son Rick(his first Rolling Stones Concert) were waiting for. Early in the morning we took the train from Heeze(the Netherlands) to Landgraaf. When we arrived at Landgraaf temperature was rising above 30 degrees Celsius. As we expected it would be a very hot long day. The crowd that was floating in was huge. After waiting for several long hours we were lucky to get a very good place in front of the stage leaving 65000 people behind us. Just after 9.15 a.m. the Stones took off with Jumpin’Jack Flash.The crowd went crazy and the sound was crisp and clear. I’ll never forget this first riff that evening. It was overwhelming. The sound was fantastic. Keith was right(a couple of years ago) that for him it takes 4-5 concerts to get in the mood. He was allert and completely up to date. During “You Got Me Rocking”and It’s Only Rock’n Roll’ Mick straightaway walked to the catwalk. It amazed me that during this gig he was more at the catwalk then normally. “Tumbling Dice” brought the crowd in extacy and it could have gone forever.After this song It was time for something more relaxed. “Angie” hit the stage. Amazing how quiet a crowd of 65000 could be, listening to this song. “Doom & Gloom” was not my song but the younger people liked it. “Rocks Off” was the vote of the evening. During “Out Of Control” Mick went crazy. Amazing the shape he’s in. “Honky Tonk Women” was crisp and clear and again the crowd went crazy. After introducing the band it was time for Keith to do his songs. “You Got The Silver” beautiful with Ronnie on slide gitar. “Can’t Be Seen” is not my song. I Prefer “Happy” “Midnight Rambler”for me was the highlight of the evening. Powerfull guitar Mick Taylor and beautifull harmonica by Mick. “Miss You” with very strong and long bas lines beautiful played by Daryll Jones. “Gimme Shelter” another highlight of this hot evening with Mick and Lisa shouting there lungs out. 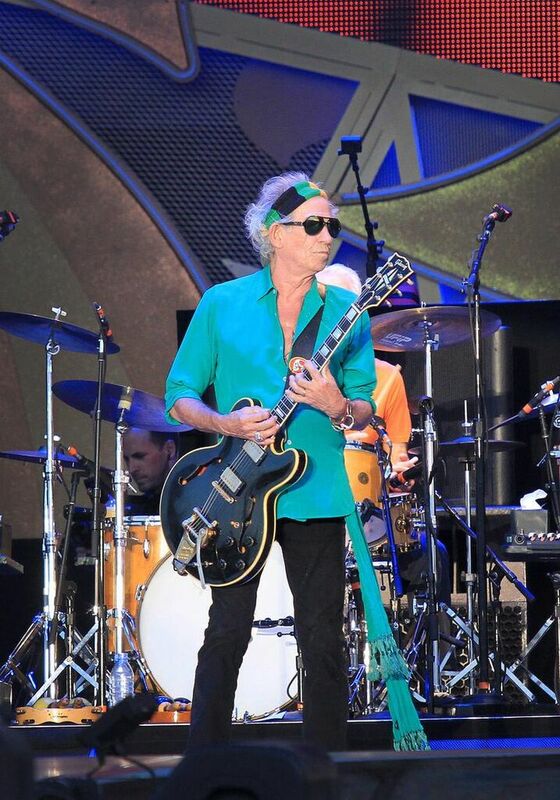 “Start Me Up” a song with a hammering Keith on his gitar. Well done Keith. “Sympathy For The Devil” set the stage on fire. The heat of the flames struck right into our faces. “Brown Sugar”a nother oldie. Amazing how many young people know this song. Then time to leave the stage and prepare for another great song, introduced by “The Koor” from Utrecht. “You Can’t Always Get What You Want” Well done ladies and gentlemen. Then the last song “Satisfaction” hit the stage with Mick pouring out his last drops of breath and sweat by running over the stage, his mouth wide open and bringing the crowd completely mad on this beautiful and hot evening. This was a fantastic show in my opinion! When Stones announced the european leg of their14 On Fire tour and Holland was among the dates, i decided to go there. Holland has some really great fans and Stones have done some really great shows there in the past. Traveled from Sweden to Amsterdam on concertday and then train to the small town of Heerlen which is close to Landgraaf. It was a really hot day and i decided to go to the festivalsite around 4pm. From Landgraaf train station it was a 25 minute walk to the festivalsite. Lots of people there to see other bands off course, John Mayer played before Stones on the main stage. It was indeed a very hot day, but clouds in the afternoon, made it a bit cooler. I spent the hours before the show drinking a few beers and enjoying the atmosphere of the festival. Around 7pm i decided to find a spot close to the stage and ended up on Ronnies side were i saw John Mayers set. 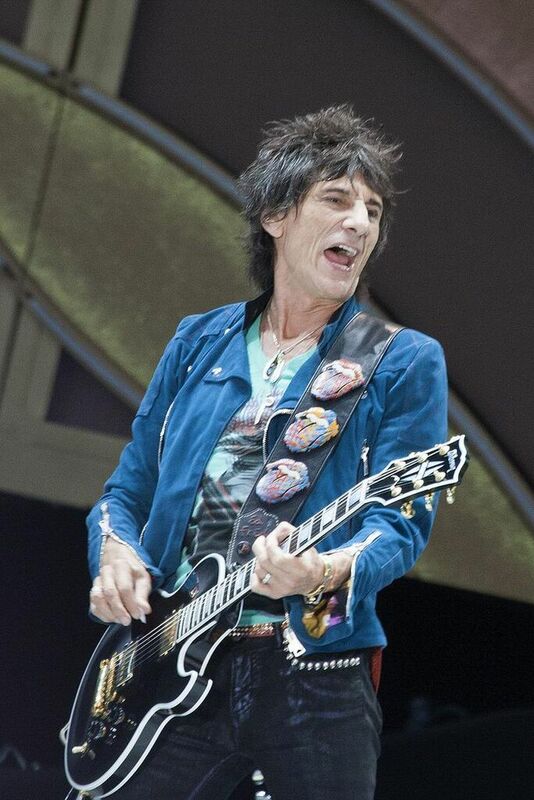 It was really packed in front of the stage, many young dutch festivalgoers, talked to some of them around me and many of them would se Stones for the very first time. Just after 9pm the intro started and the show was about to begin and it did with a great JJF! The band was really on fire from the begining and it was really nice to see so many dutch youngsters singing and really enjoying the show. 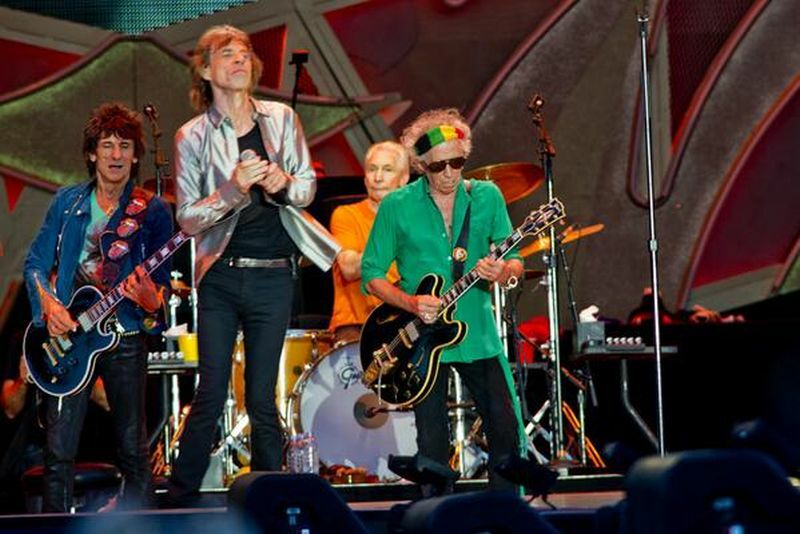 Mick, Keith, Charlie & Ronnie all seemed to be in a very good mood this night, lot's of smiles! They played VERY good this night in Landgraaf, the show for me had two big highlights, Angie & the this tour rarely played Rocks Off which was the request winner this night. Angie was simply fantastic and i haven't heard them play such great version since 2002-2003. 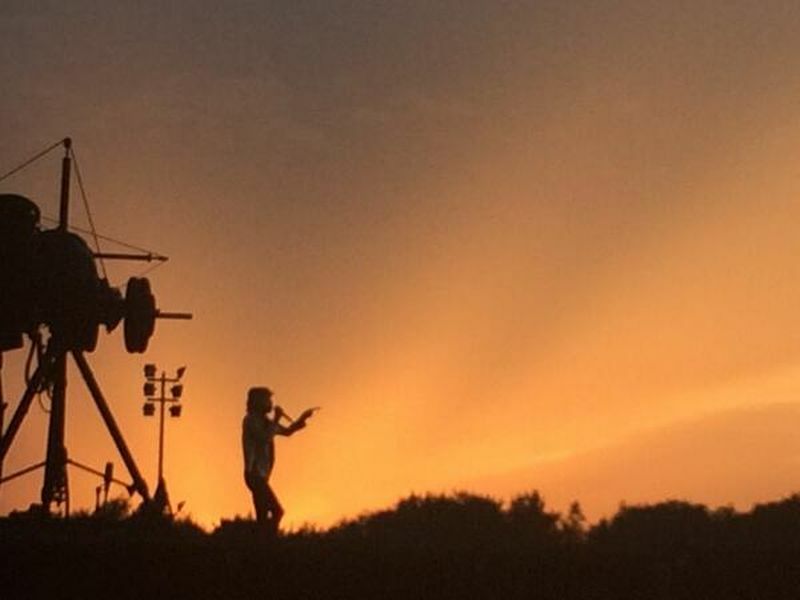 After two hours of great rock n roll the show ended with fireworks, walking away from the festivalsite to the trainstation in Landgraaf, i got some flashbacks from Hyde Park shows last year, this one was as great as those or maybe even better? Next one for me will be Berlin.